Low-res image of the CDs. 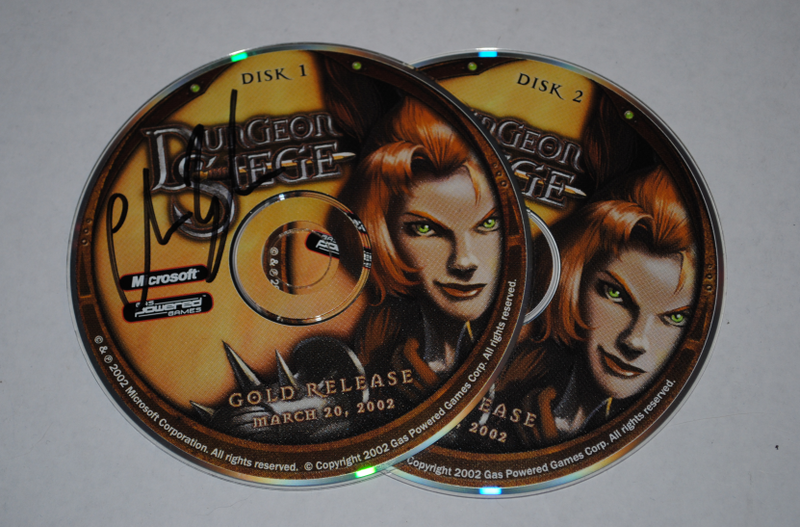 This is a promotional copy of the original Dungeon Siege game for MS Windows that was signed by Chris Taylor of Gas Powered Games. I won these CDs in an online drawing on Gamespot.com. You can see the "Gold Release" indication that they were promotional items not retail.